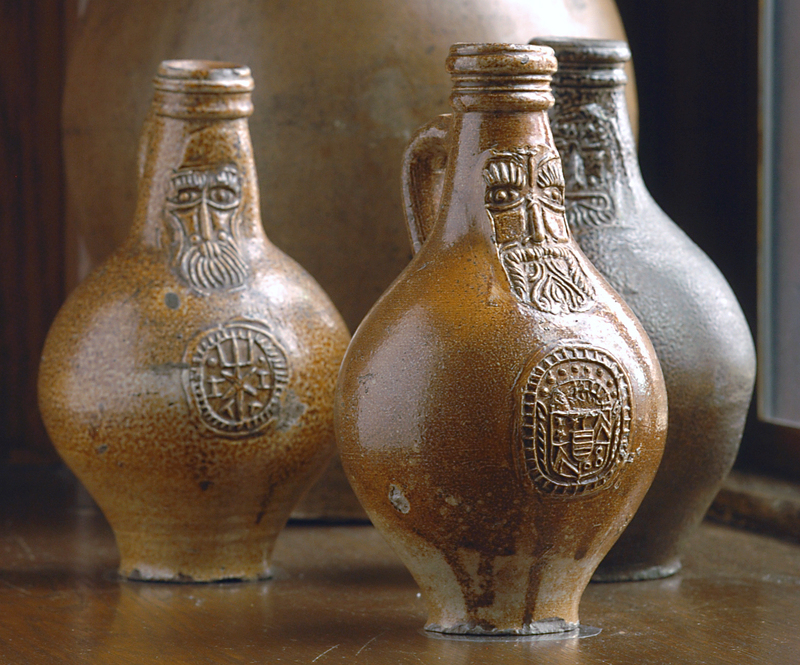 Dale Gilbert Jarvis: A story of witch bottles from Colliers, Newfoundland. A story of witch bottles from Colliers, Newfoundland. Molly (née Murphy) Quinn was raised in Philadelphia, but her family comes from Colliers and Conception Harbour, and she has spent her summers in Newfoundland since she was a girl. Quinn’s grandmother, Alice McGrath Murphy, died in 2007 at the age of 92. During those Newfoundland summers, Grandmother Murphy told Quinn more than a few tales. “My childhood was filled with stories of fairies, ‘Bloody Bones,’ and more stories than I can remember,” says Quinn. I had posted a query online asking if anyone had any stories about “witch bottles” and it made Quinn remember one of her grandmother’s stories. It was the only story she remembered hearing about a witch bottle. If you thought your bad luck was due to a witch’s influence, you could make a witch bottle to break the curse. “I know you were supposed to put things in them to remove curses,” she says. “He did his pee in a bottle, corked it and stuck a big stocking darning needle down into and left it in the store,” is how one of Rieti’s informants described such a bottle. Generally, a witch bottle is made by filling it with symbolic items like pins or fabric hearts, and in some cases, with urine. By trapping these things in a bottle, the victim is meant to redirect suffering back on the witch responsible. Quinn’s story involves a woman who had experimented with witch bottles, but who was unable to rid herself of whatever curse had attached itself to her and her family. Afterwards, the woman was never the same. “As the sleigh passed she leapt in, touching the young groom with her hand,” Quinn says. “Her icy touch immediately killed the young man. Because of her actions she was cursed to mourn forever at the cemetery, always seeking her husband's return." Witch bottles in that part of Conception Bay may have a long history. Archaeological work in the nearby community of Cupids has uncovered remnants of Bellarmine bottles - a type of pottery jug with a distinctive human face design on the neck of the bottle. In the 17th century they were sometimes employed as witch bottles. While we may never know if the Cupids Bellarmine bottles were used as witch bottles, a similar bottle from the same time period was recovered from an archaeological site in Greenwich, England. Upon opening up the bottle, it was found to contain urine, 12 iron nails, eight brass pins, quantities of hair, a piece of leather pierced by a bent nail, fingernail clippings, and what could be navel fluff. If you have heard of a witch bottle story from your community, send me an email at dale@dalejarvis.ca.